A number of cypress species are grown in New Zealand for timber and other purposes. Cypresses have long been a favourite alternative to radiata pine for New Zealand’s farm foresters, small-scale plantation owners, and some large-scale growers. Cupressus torulosa – Bhutan or Himalayan cypress. Growing cypresses for timber NZFFA 2015 A series of videos and information notes covering all the main practical aspects of growing cypresses. Cypresses: Best Practice with Farm Forestry Timber Species No.1 Ian Nicholas (editor) Growers’ manual, lots of useful information. The cypresses and Growing cypresses for timber NZFFA 2007; 2005. Two useful short guides for growers. Cypresses Chamaecyparis lawsoniana x C. leylandii. Cupressus lusitanica. Cupressus macrocarpa FRI Bulletin No.124, 1996. Introduced forest trees in NZ. Recognition, role and seed source. Part 9. Detailed introduction to the cypresses, including history, sources, and cultivation. The cypresses represent only a small portion (approximately 6%) of the overall SWP programme, and the priorities are to best maintain the breeding populations (growth, form, canker tolerance) and where resources allow, select for improved wood properties. In recent years, controlled crossing of cypresses has been undertaken to produce new hybrids that are now being tested for commercial deployment. Chamaecyparis nootkatensis (yellow cedar) is a species of interest in the production of hybrids. Our research also includes testing new vegetative propagation methods. Identification of the best pathway to market for hybrid clones. Turnover of breeding populations to the next generation as required. New orchard seed available for macrocarpa. New hybrid cuttings released for planting. See the SWP Programme Description pages 22-24 for more information on current SWP research on cypesses. 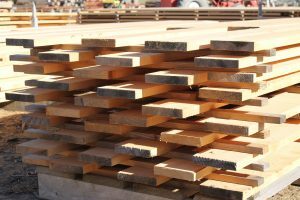 Are a versatile species with proven performance both as a timber producer and as a shelter species. 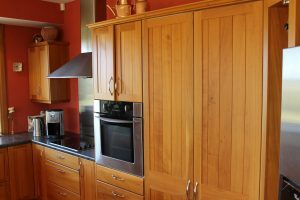 Produce versatile timber of relatively high value (compared with radiata pine) that is very easy to saw and dry and has many end uses. Grow best on moderately fertile, well-drained, sheltered sites, but with careful species and genotype (seedlot) selection will perform well on a reasonably wide range of sites. Produce their best timber on sheltered sites. Produce quality timber even as young trees, unlike radiata pine. Unfortunately, some species, especially C. macrocarpa and Leyland cypress, are very prone to canker on some sites and particularly in warmer northern areas, where planting is no longer a sensible option. SWP research is on-going in the hope that canker resistant genotypes can be produced. Rough-sawn cypress stacked ready for drying.